I am once again playing catch up with makeover posts. 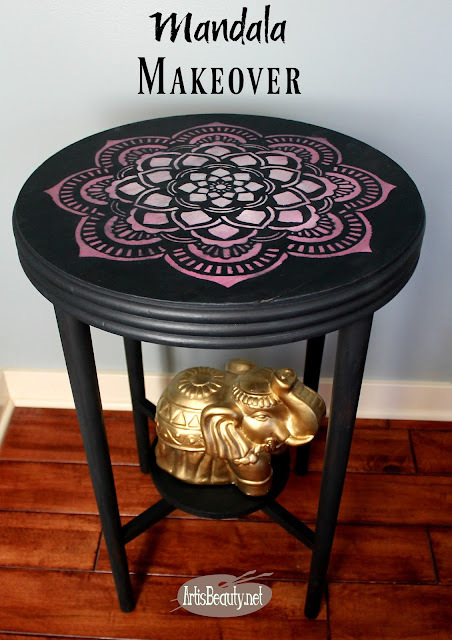 I have had this little table sitting in my basement, PAINTED for a few months now. But never had a chance to photograph it. But we finally got a sunny day here in MICHIGAN and I was finally able to get some pictures. 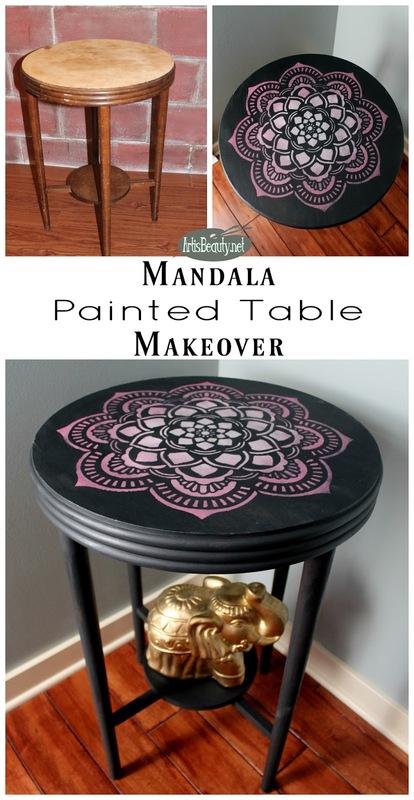 So here without further ado is my Mandala Painted Table Makeover. 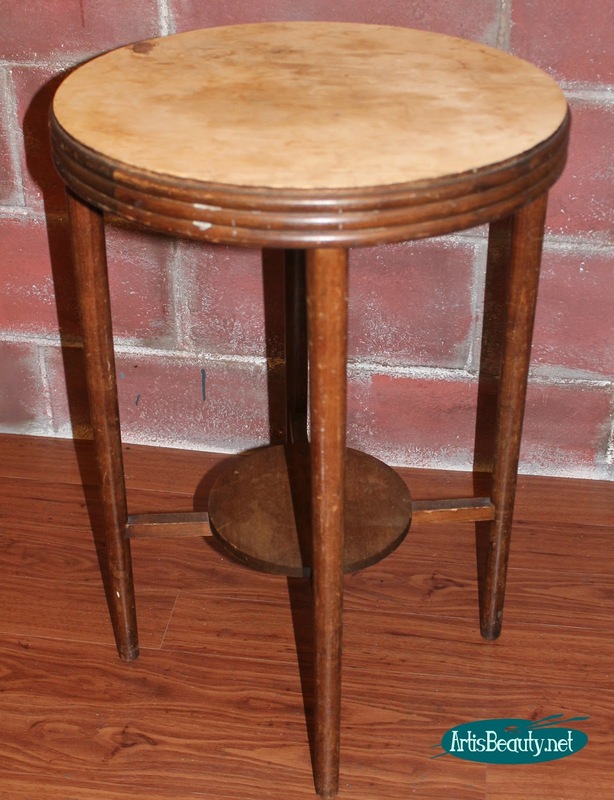 You can see from the first picture that the table was in rough shape. All but a tiny piece of the original veneer was left on the top which only took a swipe with a putty knife to get off. Once I did that I just sanded the top and got ready to paint. I decided to mix up a custom charcoal gray paint for the base and gave that a couple coats. Once it was dry it was time to pull out one of my new favorite stencils. 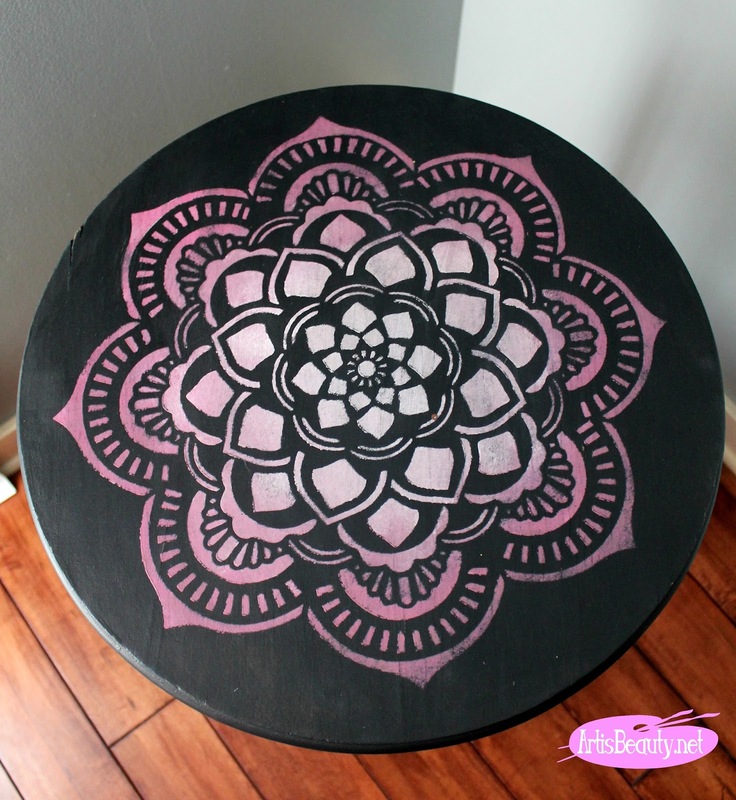 You may remember I showed you how to make some DIY MANDALA ARTWORK a few weeks back. 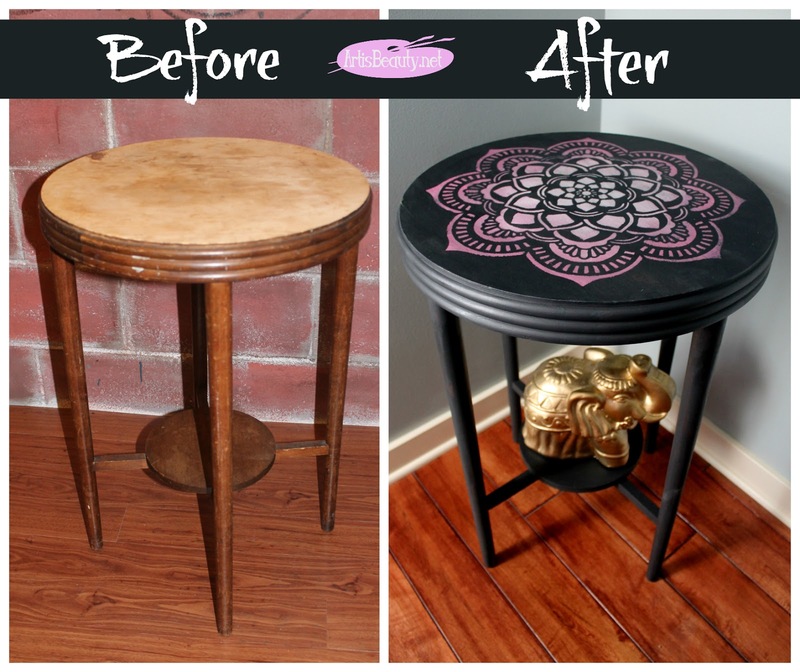 Well I decided to use that same stencil for this table top. 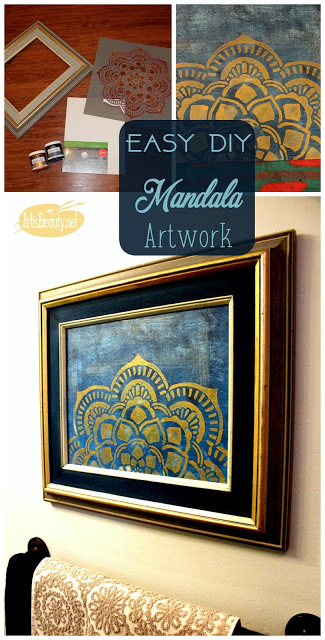 I just love my Americana Decor Mandala stencil! Since the table was a charcoal gray, I decided I wanted to make the mandala POP so I chose a color I very very RARELY use! 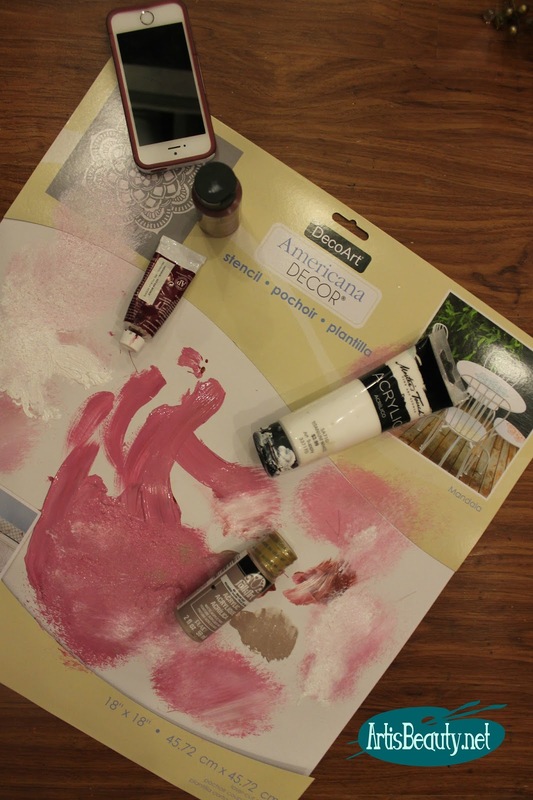 I am not a PINK girl but I just loved how it plays so well with deep grays. 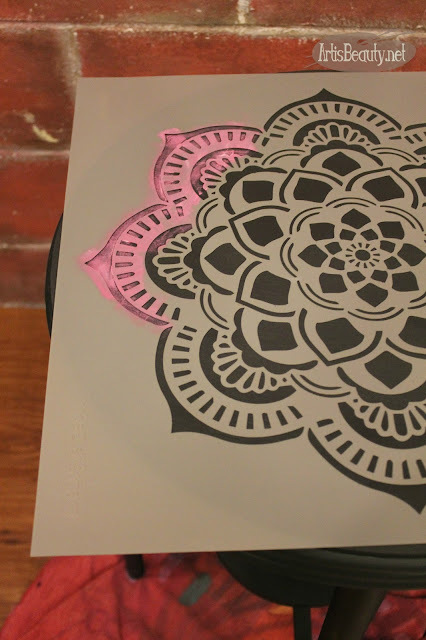 Since I didn't want it to be ALL PINK I just did an OMBRE effect and gradually added white as I worked my way to the center of the stencil. And this was how it turned out. I have to say it felt good to step out of my comfort zone of color choices. and it was really fun to try something different. Life would get pretty boring otherwise. after you tried something new! Thanks for making my day BEAUTIFUL!